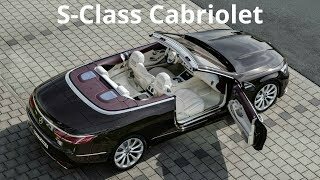 Mercedes-Benz, the leading automobile manufacturer in Germany, now brings Mercedes Benz S Class Cabriolet 2017 which is the first ever convertible of the topmost brand. The German automaker offers the new S-class Cabriolet in three models; each model will come with individual powerful engines for better performance and fuel efficiency. It is one of the brilliant engineered models in the brand with the aggressive gestures. 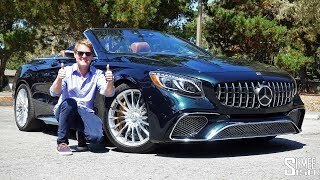 Let us have a close look at the reviews of the Mercedes Benz S Class Cabriolet 2017 and get to know more about the stuffs and features it contains. The interior of Mercedes Benz S Class Cabriolet 2017 is the lab full of gear that is hidden behind the scenes, as well. Buyers can expect the advanced technology on the new sedan that will comprise lively suspension that interprets the road ahead and it adjusts the damping automatically. It has an independent-driving traffic supporter that can follow a series of traffic by itself, in addition to a new interface and connectivity arrangements. Overall, the interior of the new Mercedes Benz S Class Cabriolet 2017 will be extremely special, as indicated by the S-Class Coupe’s cabin. The exterior of new Mercedes Benz S Class Cabriolet 2017 is glorious to look. The top almost imitates the beautiful roofline of the coupe. Everything that ranges from the forward A-pillars of the new 2017 Mercedes-Benz S-class appears to be precisely very similar to that of the coupe, and excluding a somewhat reworked trunk cover, the tail of the new vehicle appears to be similar, as well. 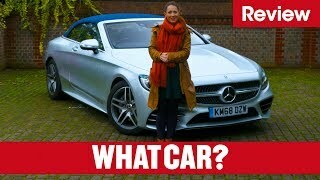 The S-class coupe is one among the most beautiful vehicles on the today’s market; the new cabriolet edition is previously ahead of the game, dropping its top would bring it even more road attendance and stylishness. The grille of the model will have the grille with the Mercedes logo at the centre. The eye shaped headlights will add on the look as the coupe has. In all, the new Mercedes Benz S Class Cabriolet 2017 will offer its customers with superior exterior. 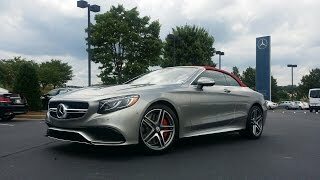 The Mercedes Benz S Class Cabriolet 2017 is powered with a V12, twin-turbo, 6.0-liter fine-tuned engine. It offers with the 621 hp of power and the 1000nm of peak torque. The new S-class Cabriolet will be offered with the rear-wheel drive system only. The Mercedes-Benz S-class Cabriolet 2017 engine is also mated to the seven-rated Speedshift mechanical gearbox.